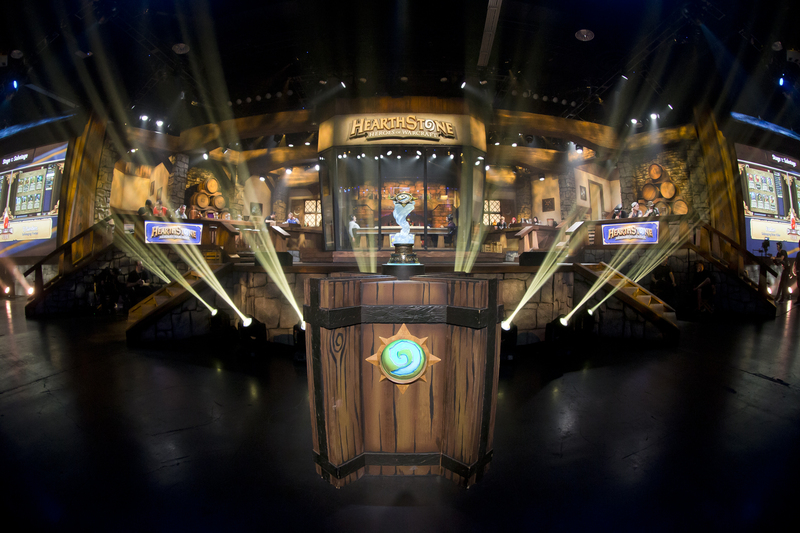 On November 4 – 5th the final eight Hearthstone players met in Anaheim, CA to compete for a $1 million prize pool at the 2016 Hearthstone World Championship at BlizzCon. 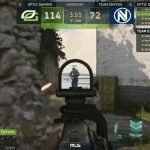 The previous week saw sixteen of the world’s top players compete against each other in the group stage. From those sixteen only eight went on to the quarterfinals on November 4th. 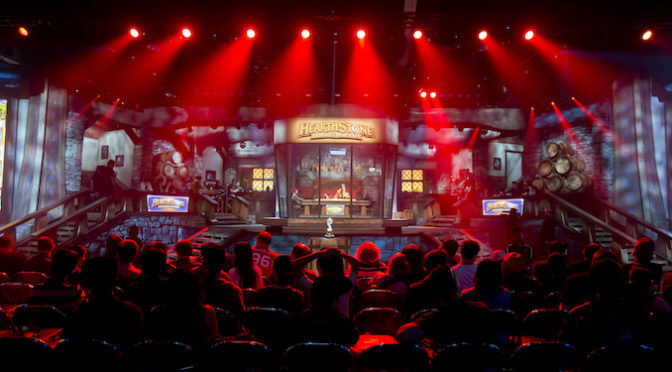 The Hearthstone stage. Photo courtesy of Blizzard. The quarterfinals narrowed down the field to four players who then went on to the semi-finals. Only two remained at the end to battle it out in the grand final and become the 2016 Hearthstone World Champion. Day one of the finals saw matches played between Jasonzhou and Hamster, Pavel and Amnesiac, Cydonia and che0nsu, and HotMEOWTH and DrHippi. Jasonzhou came to the championship strong with a career consisting of 20,000 wins using his Warrior deck. 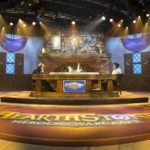 The match between Jasonzhou and Hamster did see Jasonzhou beat Hamster with his Dragon Warrior deck for a 4-2 victory against Hamster’s C’Thun Warrior. Though Jasonzhou usually goes with a Control Warrior it was the Dragon Warrior deck this time that placed him in the final four. Pavel competed against Amnesiac to beat the American player 4-3. Game seven saw Pavel use his Malygos Rogue against Amnesiac’s Malygos Druid. During the match between Cydonia and che0nsu, Cydonia lost 1-4 over che0nsu decks. Chen0su brought with him to this match Warlock, Midrange Shaman, Dragon Warrior, Malygos Druid, and Tempo Mage. The final game ended with che0nsu’s Warrior against Cydonia’s aggressive Hunter. Finally HotMEOWTH against DrHippi. 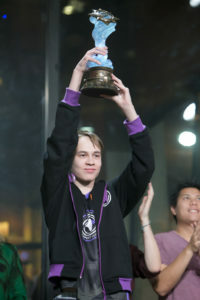 DrHippi came into the tournament as the European Summer Champion but also the runner up in the Winter Championship. He came to the quarterfinals with his Dragon Warrior, Tempo Mage, Midrange Shaman, and Warlock. DrHippi beat out HotMEOWTH for a 4-0 victory with the last game against HotMEOWTH’s Patron Warrior. With the final four players; DrHippi, Pavel, Jasonzhou, and che0nsu, the semifinals began. The first match on Saturday was against Jasonzhou and Pavel. Pavel’s decks for this match were his Tempo Mage, C’Thun Warrior, Malygos Rogue, Malygos Druid, and Midrange Shaman. Jasonzhou came with his Dragon Warrior, Warlock, Miracle Rogue, Malygos Druid, and Midrange Shaman. In game one Pavel was on his Rogue with Jasonzhou choosing the Warlock. The game finished with Jasonzhou drawing a Doomguard, a rare 5/7 minion,to finish off Pavel’s hero and take game one. In game two, Pavel defeated Jasonzhou’s Dragon Warrior but Jasonzhou came back with his Malygos Druid. Again Pavel took down Jasonzhou’s Dragon Warrior with a Firelance portal that deals 5 damage and summons a random 5 cost minion. Pavel went on to defeat JasonZhou’s Rogue with C’Thun Warrior in game five. Pavel moved on to the grand final with a 4-2 victory. The final match of the semifinals was between DrHippi and che0nsu. In this match che0nsu took the first game with a Malygos but DrHippi came back the next game with a Yogg-Saron. This card casts a random spell for each spell cast. Game three saw che0nsu come back with a Midrange Shaman to take DrHippi’s Tempo Mage. DrHippi took the match in game six with Tempo Mage against che0nsu’s Dragon Warrior. 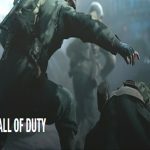 DrHippi moved on to the grand final with his 4-2 victory over che0nsu. The 2016 Hearthstone World Championship trophy. 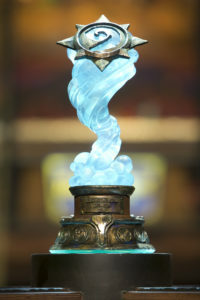 Photo courtesy of Blizzard. 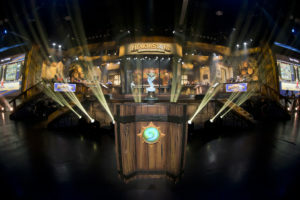 The grand final of the Hearthstone World Championship was between two European champions, Russia’s Pavel and Ukraine’s DrHippi. The first game begins with Pavel choosing the C’thun warrior against DrHippi’s Dragon Warrior. The first game looked brutal for Pavel as he was being pounded by DrHippi’s minions. However, Pavel came back with a Brawl taking out all but one of DrHippi’s minions. With Pavel down to 8 it wasn’t looking good. With a draw of Kor’kron Elite, a 4/3 charge, DrHippi takes the first game. Game two saw Pavel with a tempo Mage and DrHippi his Zoo Warlock deck. With Tempo Mage players tend to build up mana for the more powerful spell cards. Pavel used Arcane Missiles early on to take out Pavel’s minions and dealt extra damage to the Warlock. DrHippi then put down a 5/7 Doomguard to lead the game with four minions on the board dealing damage to the Mage. Pavel brings out Flamestrike that deals 4 damage to all minions clearing the board and dealing damage to DrHippi. Pavel takes game two with Fireball. The third game in the final was a Druid vs Druid. DrHippi did not have a good hand this game with an Azure Drake and Removal. On the other hand Pavel had better cards with Wild Growth, Fandral, and Mire Keeper. Pavel plays Azure Drake early on in the game waiting to save Fandral. DrHippi plays swipe removing Pavel’s minions and dealing damage leaving Pavel with a 1/1 Angry Chicken. Coming back, Pavel plays a Moonglade Portal to restore 6 health and summon a 6 cost minion. Pavel then gets a 4/5 minion and uses Wrath. DrHippi uses Swipe and Shapeshift. From here Pavel continues to use threats against DrHippi’s Druid. The game ends with Pavel using minion damage and Swipe. The match turns to Pavel’s favor with a 2-1 lead. In Game five Pavel uses his C’Thun Warrior against DrHippi’s Druid. DrHippi had a hand full of spells in the early part of the game but then Pavel plays a twin Emperor. Armored up to 25 the game starts a slow process of dealing cards to take each player out. Pavel manages a Brawl to take out all of DrHippi’s minions. However, DrHippi brings down a Medivh and Mark of the Wild to create a 9/9 taunt and a 4/1 minion. Nearing the end of both their decks DrHippi draws the Yogg-Saron, Cleave, and Starfall removing Pavel’s armor. Pavel then plays C’Thun and takes the game. The longest game of the match ends and goes to game five. The winner of the 2016 Hearthstone Championship Pavel. Photo courtesy of Blizzard. For game six Pavel uses his Miracle Rogue and Drhippi his Warlock. From the start DrHippi dominates the board with two taunts and minions. Pavel then concedes the game to DrHippi. The match finally ends with game six when Pavel plays his Rogue deck against DrHippi’s Druid. A Shiv, Backstab, and Sinister Strike from Pavel puts him in the game. Pavel then puts down Edwin VanCleef, a 10/10 minion. 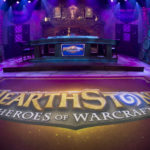 Bite and Sinister Attack wins the match and the Hearthstone Championship for Pavel with a 4-2 victory over DrHippi. This was the exciting conclusion to the 2016 Hearthstone World Championship with a victorious win by Pavel . We wait now for the start of the 2017 Hearthstone Championship Tour.